Just a day after Samsung announced its latest Galaxy A30 and Galaxy A50 at its MWC event in Barcelona Spain. 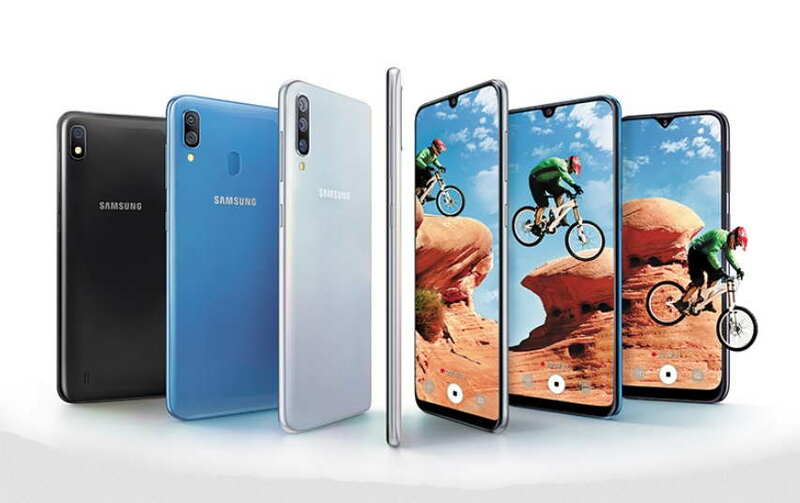 Samsung today via its official tweet announced that Galaxy A10, Galaxy A30, and the Galaxy A50 will be launched in India on February 28. Looks like, Samsung won’t launch the entry-level Galaxy A10 in the US. Samsung US website only lists the Galaxy A30 and Galaxy A50. However, we can now see the three devices, including the Galaxy A10, A30, and A50 listed on Samsung’s India official website. Now, let’s quickly have looked on the specifications on the three new upcoming Galaxy A series smartphone. Introducing the cool new range of action phones from #GalaxyA. Say hello to Galaxy A50, A30 & A10! Launching on Feb 28, 2019. For now, Samsung India hasn’t shared any specs details of its entry-level Galaxy A10 smartphone on its site. But according to the official listing image of the Galaxy A10, the device will come with a single rear camera setup in black color options. The phone will also feature a waterdrop notch, similar to the Galaxy A30 and A50. However, the new Galaxy A30 and A50, as reported earlier are two new budget smartphones from Samsung. The Galaxy A50 and Galaxy A30 both feature a 6.4-inch FHD+ (1080×2340) Super AMOLED infinity-O display with waterdrop Notch. The Galaxy A30 is powered by an Exynos 7904 processor coupled with 3GB + 32GB and 4GB + 64GB RAM and storage option. While the Galaxy A50 comes with a Exynos 9610 SoC coupled with 4GB + 64GB and 6GB + 128GB RAM and storage option. The Galaxy A50 comes with an in-display fingerprint sensor while the Galaxy A30 features a rear-mounted fingerprint sensor. Both the devices come with the same 4,000mAh battery with 15W fast charging support and USB Type-C port. On the camera side, the Galaxy A50 sports a triple rear camera setup with a 25MP main camera with, f/1.7 aperture and a 5MP camera that comes with f/2.2 aperture. Lastly, we have an 8MP shooter with f/2.4 aperture and ultra wide, fixed focus lens. Up front, there is a 25MP camera on the device. On the other hand, the Galaxy A30 comes with a dual rear camera 16MP+5MP camera with an ultra wide-angle lens. It ports a single 16MP front camera with f/2.0 aperture. Samsung hasn’t yet announced the pricing and availability details of the Galaxy A10, Galaxy A50, and the Galaxy A30. All the three devices maybe go on sale through various online and offline retail stores across India.